The FEI World Equestrian Games is coming to the Tryon area! From September 11th to the 23rd, the Tryon International Equestrian Center (TIEC) is hosting one of the biggest sporting events held in North Carolina. This event is considered the Olympics for horses, and is actually held every four years during the Summer Olympics. If you’re eager to attend the games at Mill Springs, but don’t live in the area, we’ve got you covered! We still have four amazing vacation rentals available for the Games. The event is expected to attract more than 500,000 visitors, so if you’re still searching for seasonal lodging you better act fast! 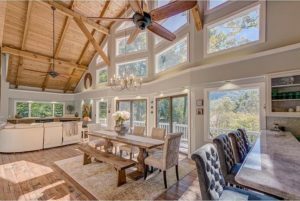 Without further adieu, here are four wonderful vacation rentals still available for the 2018 World Equestrian Games. 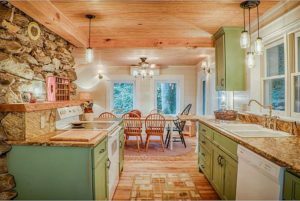 Located in the heart of Chimney Rock, the ARE Vintage Cabin is a refreshing oasis in Western, NC. 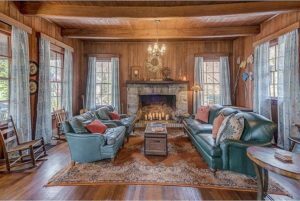 Completely renovated with plenty of TLC, this cabin is the perfect place for relaxing after a long day of cheering on competitors at the World Equestrian Games. Best of all, it’s just a quick 30-minute drive from the Tryon International Equestrian Center. 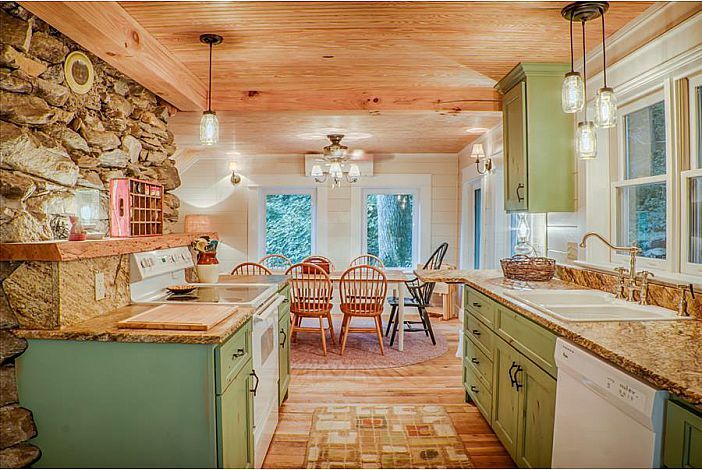 It doesn’t have to be summer to stay in this fabulous vacation home! 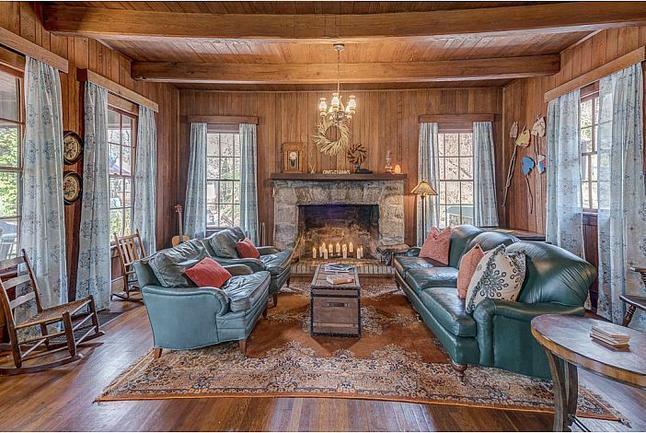 This historic lodge overlooks Lake Lure and perfectly balances old charm with modern amenities. Enjoy staying in a supremely comfortable 2,800 square foot home just a few steps away from the beloved Lake Lure. Only 25-minutes away from the TIEC, this is an excellent vacation spot if you’re looking to attend the Games. 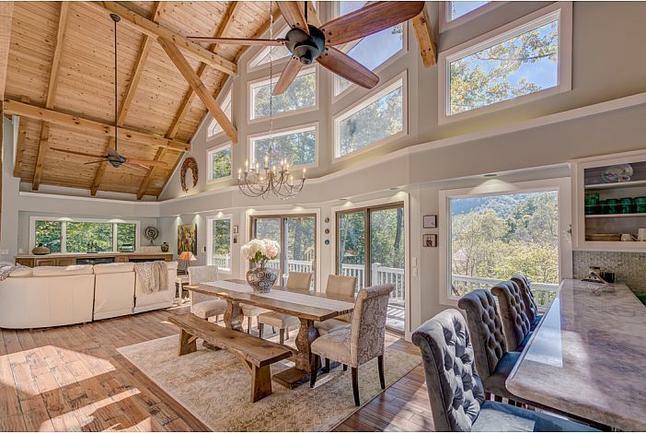 This beautiful mountain home will inspire you! 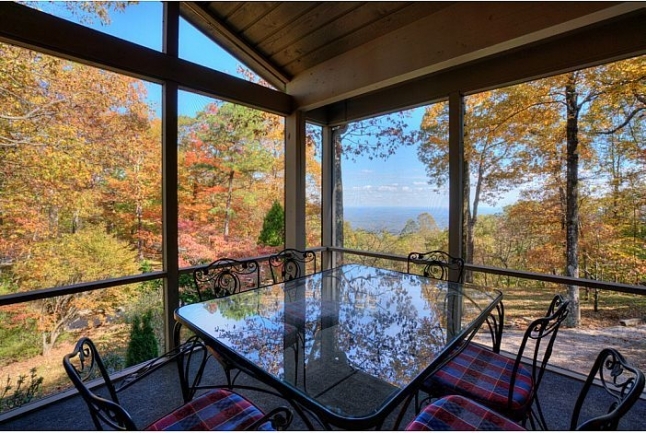 1,900 feet above the plain, this gorgeous home offers unparalleled views of the mountains, forest, and lake. Kick back in a luxurious, tranquil atmosphere full of all the amenities you need for the perfect vacation. It’s the ideal spot for watching the Games, as it’s just minutes away from the TIEC. Spend your days watching all the amazing events and performances at the World Games before retreating to a blissful vacation home at Hidden Granite Falls. Adjacent to the Falls Landing waterfall, this home is equipped with a huge great room, flat screen TV, gorgeous local art work, spacious kitchen, and comfortable bedrooms. Once you visit, you’ll never want to leave! See for yourself by booking your dream vacation today. Ready to Book Your Vacation Home? Please reach out to us! We would love to help you take the first few steps to enjoying everything the World Equestrian Games has to offer. This is a once-in-a-lifetime chance to observe firsthand one of the most exciting equestrian events in the world. Ready to book? Give us a call today!